Quest has dropped a hint that it's working on an HD service for Freeview users. The new home of the EFL Saturday night highlights show launched in HD on Sky, Freesat and Virgin Media at the beginning of the month. Freeview, and by default BT, Plusnet TalkTalk and EE TV users, who piggyback on the Freeview signal have been left with a standard definition only service. 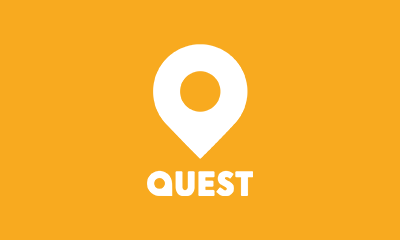 On Twitter, Quest has been responding to viewer enquiries saying it's "working on supplying Freeview viewers an HD channel for next week's EFL highlights show", providing the biggest hint yet that the Discovery-owned channel is about to expand its new HD service to terrestrial TV homes. But will everyone be able to receive it? Freeview currently has limited capacity for new HD channels, with much of the available capacity subject to lower coverage than the rest of the Freeview service - why BBC Four HD isn't as widely available on Freeview as most other BBC HD channels, for instance. However, the bandwidth previously used by BT Showcase HD on Freeview is still empty. Taking that bandwidth would enable Quest to offer an HD outlet with a technical terrestrial coverage in the region of 75% of UK households.